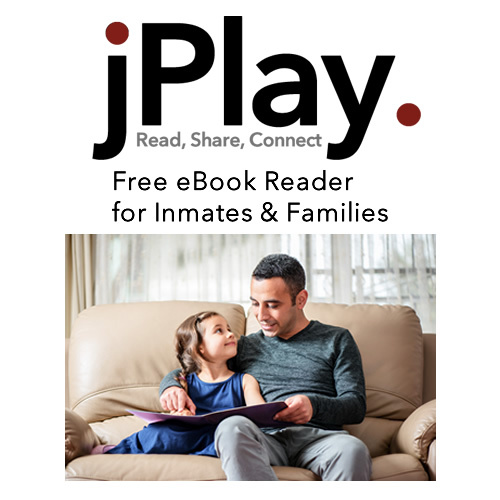 IMT Globaltel LLC, an innovation leader in correctional communications technology and call solutions that connect and preserve the bonds between inmates and their families, today announced the release of JPlay, a Free Prison Book Service. IMT Globaltel already offers inmate families a lower cost system to lower the cost of jail calls. “But," says Williams, "we know from conversations with customers that they often struggle to find things in common to talk about. Reading together offers one solution.” Most correctional facilities now sell inmates an expensive electronic device that contains several thousand approved books. We found a way to provide that same collection of books to every inmate’s family for free. “We believe this new service can help inmates grow as human beings, adopt new philosophies, maintain mental health and most important, maintain close bonds with families thru the power of shared experiences”. In addition to its JPlay.red Book Service, IMT offers it’s JailMail service, a simple prison compliant service for sending mail to inmates and JailAid.com as a service to assist friends and families find their inmates in the system and connect them with local churches and groups that can help them navigate the obstacles in making contact and visiting inmates. To learn more about IMT Globaltel LLC or its services, visit http://www.GlobalTel.com or one of its services, http://www.JPlay.red, http://www.uspspostcards.com or http://www.JailAid.com today. IMT GlobalTel is an innovation leader in correctional communications technology and call solutions that connect and preserve the bonds between inmates and their families. IMT services offer financial savings to inmate families. Simple to use services ensure customers young and old can maintain affordable contact with their loved ones. IMT services aid in rehabilitation and the reduction of recidivism rates for inmates. As a trusted industry leader, IMT provides services to correctional facilities in all 50 States, the District of Columbia, Puerto Rico, the Federal Bureau of Prisons, the largest city/county facilities across the USA. To learn more about IMT, please visit GlobalTel.com. Free eBooks for Inmates & FamiliesInmate and Daughter connect thru shared stories.